Should be sunning it up down in St Jean de Luz in the French Basque country. Instead we are moping about the house and it is raining outside. Our holiday was a victim of the French Air Traffic Control strike. OK it’s not a disaster (in relative terms). Nobody died! But it does seem that industrial action by French people has a considerable impact on their European neighbours. It raises an issue about strike action, and its impact upon the wider community. A strike in the old fashioned sense was an action taken by the workers against the Owner. By withdrawing their labour the workers could impact upon the income of the owners, and bring them to a negotiation table. In a “perfect” market the customer is not discommoded. They simply buy a substitute product from another provider. There is no perfect market for Air Traffic Control. You cannot call up another service provider and ask them to reroute your flight. It is a government monopoly. It is a very vital service. If Irish Air Traffic Controllers go on strike this impacts upon Irish Air Space, but not much else. If France goes on strike it impacts on overflights. Irish people flying to Spain find their flight cancelled because they route through Air Space controlled by France. Should this be possible? Should the unilateral action of one French Union have the potential to close down European skies? 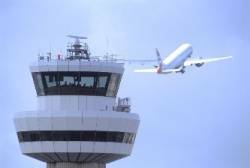 Should Air Traffic Controllers have military style work contracts, which make it illegal, or even treasonous to strike? If we remove the strike weapon from workers what do we give them as a replacement? These are not issues that would tax my brain if I were lounging in the sun in the South of France. Is that a good thing or a bad thing? Another place for hand or cook. If dignity and justice fail. They’ll steal your house with trumped-up clause. No matter how much cash you’ve got. There is no accounting for public taste. PT Barnum famously said that nobody ever lost money by UNDERESTIMATING public taste. Spend an hour trolling what is hot and what is not on the internet and you rapidly gain an appreciation for the breadth of the church that is “popularity”. The prevalence of cat videos consistently astounds me. There is an entire race of people out there who seem to spend every waking moment following cats around with a video camera looking for the next YouTube sensation. A police mugshot of a good looking guy goes viral. 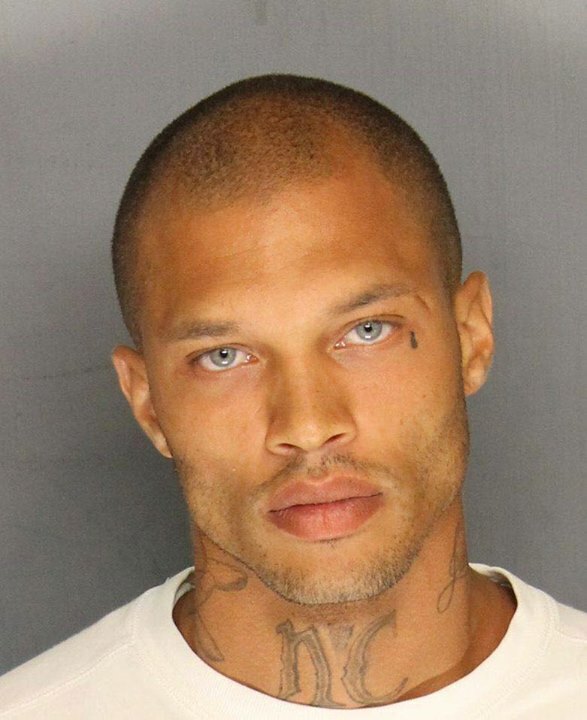 Good looking and clearly dangerous when you consider the context, the prison tattoos and the scar over his eye. But contrast this with the teardrop tattoo, the sensitive lips and the deep penetrating eyes. Obviously a guy with a very sensitive side (go on, admit it) who brings out the mothering instinct in many women, and the messiah instinct in others. You know, that instinct to save him from the inevitable wreck that is life is going to be. What this guy needs now is a good agent, a PR guru. A ghost writer to pen the “autobiography” so we can share the pains, trials and tribulations of his back story. He needs a stylist to dress him for the trial, really bring up those qualities that the head shot captures. Give him a voice to go with the looks. Then before you know it we can get him on Ellen, Oprah, Letterman, Leno. Option the movie. Release a hip-hop album. A line of clothing. Sports shoes. A fragrance. Lets harness these 15 minutes people! How do you protect businesses from the brilliant decision makers who end up getting it all wrong? The human mind is a pattern recognition engine. It is an excellent learning tool. When you spot a situation you have been in before, the mind tells you “oh yeah, I know this, here is how we moved through this situation the last time”. There are positives to this, and also negatives. The positives are that we learn rapidly from each other. Spend an afternoon trying to learn a video game on your own, and then try it with your 14 year old son beside you. With the benefit of his experience, and his bank of knowledge, built from games played by his social network, you very quickly pick up the things you need to know, and learn the distractions that you can safely ignore. In business it is vital to have people in the room who have been there before, who saw the situation before, and can tell the strategies they used to work through it. That is not to say you should slavishly follow an old strategy. Remember, the competition also have a guy in the room who was there last time around. If they lost the last “match” chances are they are going to adjust strategy this time round. But the starting point is to know what happened in the last war. The biggest danger in the “pattern recognition” engine is the way it craves order in chaos. The human mind abhors uncertainty. When faced with pure chaos it scrambles for anything that might make sense. Derren Brown, the UK “magician”, illustrated this with a very funny episode “Trick or Treat” where he wired a sensor to a goldfish tank. Each time the goldfish swam past the sensor a counter added a score. In a separate room he assembled a group of people, who were told they could win an amount of money if they managed to get the counter to 100 in a given time. They did not realise that they had no control over the counter. They jumped, shouted, ran about, organised themselves, disorganised themselves, and sometimes it seemed to work. The counter moved. So they would repeat what they did, and fail. Their brains were trying to make order out of chaos. It is this struggle to make order from chaos that has led to some of the worst episodes in human history. When things are at their worst, the pressure to find an answer is more acute, and we do some really bad things or make some really bad decisions. Aztecs harvesting thousands of heads, Celts burning people in wicker men, burning witches, self immolation, sacrificing virgins, anything that might work. Then into this space you get people with an agenda, who see that the time is right to lay blame on a section of the community. God is displeased with us because we tolerated Jews/Gays/Irish/Blacks/Dancers/Gamblers/Alcohol whatever. Now the time is rife to rid ourselves of this evil and set ourselves straight with some made up divinity who seems to have a pretty nasty and narrow minded agenda. Of course this would never happen in the business world. When we operate in the workplace we make rational decisions, based on logical analysis of events, and we don’t allow demagogues to hijack the agenda and drive us collectively to construct a new tower of Babel…..do we? Well, sadly we do. We see success and we see the guy who causes the success and we assume that he must have the “secret”. OK he isn’t slicing off heads and rolling them down the front steps, but he may be doing the business equivalent. Look at Enron, Nick Leeson in Barings Bank, Lehman Brothers, Bear Stearns, securitization of sub-prime mortgages, contracts for difference. The truth is, the more confusing a derivative is, the more magical it seems to those who cannot understand how it works. 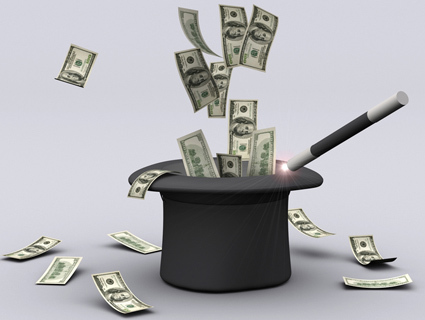 Many senior managers in banks failed to spot the magic tricks for what they were, because they were working at first. In the workplace if you have senior managers who are seen as having a magic touch, that in itself should be a warning sign. These managers should be subject to MORE monitoring and analysis to ensure they are making commercially sound decisions. Instead the opposite holds true. The manager who delivers a big win is given more latitude than his non-performing counterparts. He may buy into the belief that he has that bit of magic, and he may carry out less and less analysis on his own decisions. He is given more and more resources to “gamble” on the next big move. If he is given enough rope he will ultimately make the bad decision that costs the company dearly. A worse situation is that the manager is someone with an agenda. His agenda is not aligned with the corporate goals. His decisions are being made to line his own pocket, at the ultimate expense of the business itself. The greater the flux in the market, the greater the uncertainty, the easier it is for this person to make the call that can collapse the business. In Ancient Rome a triumphant general was made up to look like a God for the day of his triumph. He rode through the city in a chariot at the head of his army. A priest in the chariot had the job of repeating constantly, in his ear, “Remember, you are only a mortal”. In business we need those kinds of priests. What can we do to protect businesses? Operate the same decision control procedures for all managers. Ensure that charismatic “stars” have grounded detail analysts on their teams. Make sure everyone understands how an investment works, there is no magic money. Post-decision analysis. Something that appears in every textbook, but seldom exists in reality. We are all focused on the next big thing and it seems wasteful to analyse what is over. We should bring in a cold resource, from outside the decision team, who will demonstrate what elements of the success were due to team decisions, and what elements were down to general market movements. The winning teams hate these guys, but they can separate the myth from the reality, and greatly change the way you will approach the next opportunity. Ireland is a food island. We have this fantastic mild climate, with a long spring and autumn and an incredible growing season. Cattle and sheep thrive on fresh grass, and we have a very short wintering period. This makes Ireland ideal for production of Beef, Dairy and Lamb. The byproducts of the dairy industry supply inputs for pig and fowl rearing. We also have a great climate for growing barley. Ireland sits at the western end of the “beer belt” which stretches to Slovakia and includes the UK, north eastern France, the Benelux, Germany, southern Poland and the Czech republic. In this belt you can grow good malting barley and make great beer, and whiskey. Go south of the beer belt and the climate lends itself to grapes, so you get wine and brandy. Go north of the beer belt and you are into grain alcohol country, where they produce various versions of Aquavit or Vodka in Scandinavia Poland, Russia and the Baltic Republics. Given Ireland’s unique position on the Atlantic we SHOULD have the least polluted food production system in Western Europe. At a political level this should be a number 1 priority. It has not been! We have seen scandal after scandal as standards have been allowed to slip. We have adopted industrial food production short cuts from the USA, Britain and Central Europe. This has to stop. Irish food should be the purest food in the world. We should concentrate on value add, not on mass production. We should be the envy of food producers everywhere. The badge of Ireland on food should be synonymous with purity, nature, traditional production, humane farming practices, free range, fed on grass watered by Atlantic rainfall. Irish beef should command prices higher than Kobe beef. We are nuclear free and we don’t house our cattle for most of the year and feed it on “unnatural” feed mix. Irish lamb should be trademarked and should command a far higher cachet than New Zealand lamb which has circled the globe and accrued an enormous carbon debt. 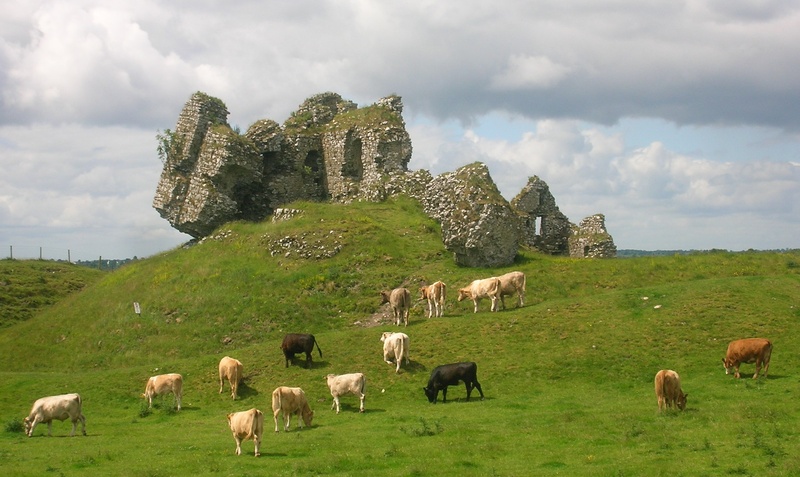 Irish dairy should be seen for what it is – a pure conversion of unsullied Atlantic rains, through grass fed herds, into pristine milk, cream, butter and cheese. Any farmer, producer or food manufacturer who threatens the image of the food island of Ireland should be dunked head first in a slurry pit. It should be a form of public entertainment, designed to underline the importance of our reputation. That through your valleys roll. We’ll know that we are dead. Irish politicians, and Irish business leaders, appear to have coasted through recession almost unscathed by the downturn. In contrast the “little people” have borne the downside of risks that they never took. The people who take the risks should suffer the losses. In a society where this is not happening something is fundamentally wrong. Industrial and Military success have this in common. They both rely upon motivating large masses of front line troops to achieve goals which are mostly relevant only to a small clique at the top. I am not talking here about Greek style citizen armies, where individuals volunteered to fight for the glory or defence of their Polis. I am talking about peasants fighting for Kings, poorly educated inner-city cannon fodder fighting to keep a politician in office for four more years. I recall when Somalia fell apart and a news crew interviewed a US soldier to ask if he was fighting to defend democracy. The news crew managed to find one of the few thinking grunts in the field. He snarled at the news crew that this war had nothing to do with democracy or freedom. “We are here to protect US commercial interests”. You could sense his frustration. His life was thrown on the line to protect the lifestyle of a few fat-cat tycoons safely curled up on loungers in their summer houses in the Hamptons. But what has this to do with Industrial success? Richard Cantillon, the Franco-Irish economist coined the term Entrepreneur. He described it as someone who invests their working time and resources against an uncertain outcome. This is in contrast to a worker or employee who sells their labour for a fixed and certain outcome – a pay cheque. An entrepreneur is risking a lot, and wants to see a healthy return. If all they can expect is to earn the same as a worker, why would they become an entrepreneur, and carry a downside risk? The upside for an entrepreneur MUST be greater than the upside for a worker. That is the basis of capitalism. It is also the reason why communism failed. Not enough risk takers could be bothered to take the risks in the communist system. But here is where it all falls apart. If the King, or the General, wastefully throws troops into battle with no concern for their safety, they eventually turn their weapons in the other direction. If you want your soldiers to put their lives on the line for you, then you have to demonstrate that you are sharing their losses and their successes. You have to show that you have some skin in the game. Roman Senatorial candidates used to do this by showing off their battle scars on election day, demonstrating that they were prepared to put their own bodies on the line for the defense of the state. The Shakespeare play Coriolanus tells the story well! In our modern industrial/commercial society, when do we see the battle scars of the CEOs? Do we see them suffer when things go wrong? Any good capitalist would say yes, of course, they are voted out of their jobs by shareholders, they go bankrupt! But do they really? How many times have you seen a CEO or Bank Chairman go to court on fraud charges, serve a token week in jail, and return five years later to a plumb job? How many former CEOs have you seen begging for change in the street? OK, the skills that got them to the top are still there. They risk big, sometimes lose big, and rise again from the ashes and win big. And all the time the grunts are labouring away, many on minimum wage, under pressure to work longer and longer hours, to give up their personal time, for the good of the “company”. The greatest success of the capitalist world in the last 50 years has been the near destruction of the trade union movement. As jobs have migrated from heavy industrial to white collar services in developed countries, the union structures have dematerialised. In many work places it is now frowned upon to be a union member. The US employers have used a carrot and stick approach to bring this culture in. The carrot is to offer most of the add on benefits that unions want as standard. Health insurance, reasonable basic pay, holidays etc etc. The stick is to demonise unions, identify them with the Mafia, label them as corrupt structures, refuse to recognise them, refuse to employ unionised staff. 50 years ago it was mandatory for entry level employees to join the union in many Irish companies. Can you imagine going to a job interview today and asking the HR manager “which unions do you recognise”? In the good times the carrot outweighs the stick. In recession the reverse is true. The fat cats at the top protect their positions, and the cannon fodder are slashed and burned out of the organisation, to populate welfare queues. I am a capitalist. But there are levels of capitalism. I am not a fan of the US model. Ireland is slavishly following the US model, and we need to stop and think hard about this. The government spout out a lot about the need for the 12% corporate tax rate to attract multinationals, and having a job creation environment. But if that becomes a job exploitation environment, then we are fools. When the top 2% of earners take more and more of the earnings out of the economy, it is time to re-assess the direction of economic policy.